This whole Sony hacking situation might have just gone from mildly scary to insanely terrifying. After an ominous message directed at Sony Pictures Entertainment from an unknown source claiming to be the "Guardians of Peace" hackers — aka, the same hackers behind the numerous security breaches in the movie studio's system that has resulted in the release of damaging private emails and the personal information of Sony employees — threatened a 9/11-like attack on any movie theaters showing the upcoming comedy The Interview, Buzzfeed is reporting that the film's stars Seth Rogen and James Franco have now canceled all The Interview -related press appearances in response. In other words, I think this whole situation just got really real. There's been no comment on Sony just yet about the terrifying message, which warned those planning on seeing The Interview when it's released on Christmas day, but, according to USA Today, the message was posted on the file-sharing site Pastebin, along with five links to Sony files that are thought to be a result of the hacking breach in Sony's systems that occurred last month. The title of the message? "The 1st day of Christmas gift: This is the beginning." Similarly, reps for Rogen and Franco have reportedly made no comment on why exactly the stars pulled out of scheduled press appearances so suddenly — but, according to the Chicago Tribune, the two are reportedly still expected to attend the film's special screening in NYC this week. This is not the first threat that has been directed at Sony since the hacking first occurred last month: Last week, Sony employees reportedly received messages directly on their work computers threatening their safety and the safety of their families, renewing fears that North Korea — who have publicly expressed their anger over The Interview's upcoming release — could possibly be behind the attacks. 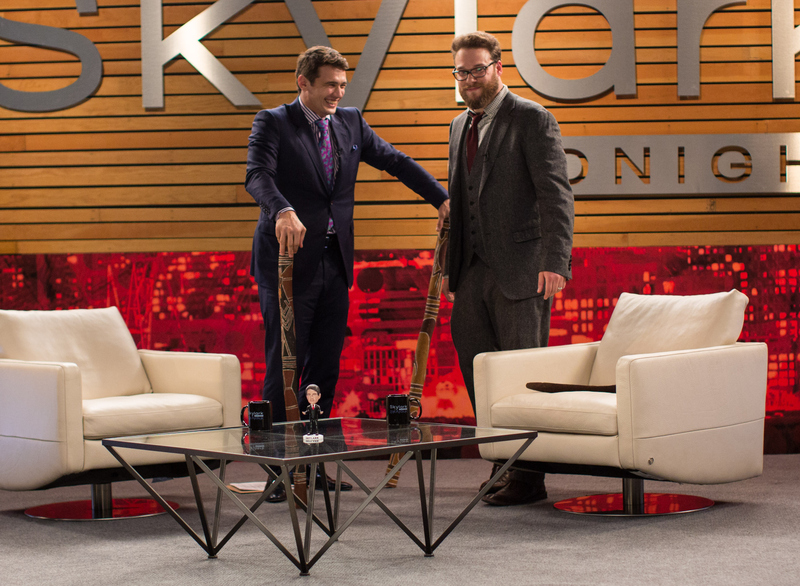 As of now, The Interview is still scheduled for release on Dec. 25, nationwide.